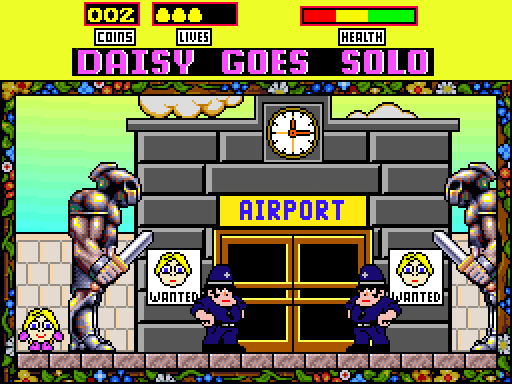 November 2009 saw the arrival of DizzyAGE programmer Steve Rennie (Grandad), who released his first game "Daisy Goes Solo". Fast forward 8+ years and Steve has released his 40th DizzyAGE game by releasing a graphically updated version of Daisy Goes Solo with some extra rooms and harder puzzles in the mix. Daisy is in a strange land trying to get home.